Online shopping is convenient, without a doubt. Because of this, many small brick and mortar businesses are shifting their attention and resources to building their online store. But sometimes shoppers, even die-hard online enthusiasts, are happy to visit a local store to buy their item—they don’t have to wait or pay for shipping, and they get to actually touch and handle the product. Plus, there will always be services and products that just don’t lend themselves to online purchasing (try getting a haircut, fresh pasta dish, or even a massage online!). Yes, your business too can be part of this buying craze. As many of you know, these sites offer city-specific deals (for both products and services), which only last for a day, and are broadcast to thousands of eager shoppers by email. Each deal needs a set number of people to buy into it for the deal to become valid. 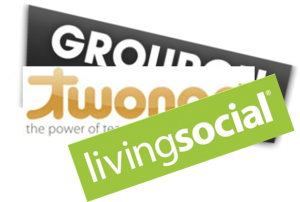 For small businesses, promoting through these sites equates to risk-free advertising and guaranteed paid customers once enough people join the party. Businesses often use these services to draw in first-time customers, using creative deals that people are willing to try out. For one day, you can become the buzz in social media as buyers encourage their friends and their friends’ friends to get in on the deal. 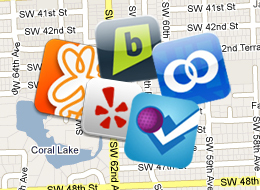 Sites like Yelp and Citysearch are invaluable resources for both locals and visitors of a city. Customers constantly review businesses on these sites, helping the community find which establishments are worth spending money at. As a small business, you can claim an account if you’ve already received reviews, or get a new business page, which you can update with photos and a detailed description of your offerings. Use the platform to announce special offers and events, but also to dialog with customers. Many businesses take the time to respond to each review, both positive and negative ones. Reviews can provide you with insightful feedback on how you can improve and make your customers happy. 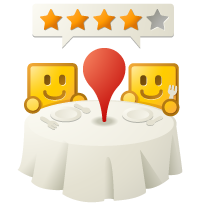 Google Places shares the review features of Yelp and Citysearch, but is integrated right into Google’s search engine and Google Maps. Since the majority of people use Google everyday to search for local businesses, this service is considered a must-use for local online marketing. These social networks turn store promotion into a fun activity. 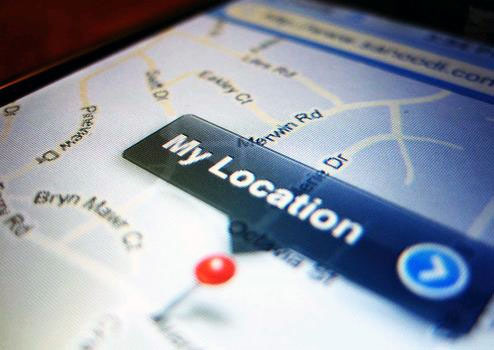 You can run various promotional campaigns that reward customers who check-in on these sites with their mobile devices when they visit your establishment. The goal is to achieve a ripple effect, where your customers’ friends take notice of the rewards dished out or discounts redeemed, and decide to stop in themselves. These services provide you with stats on how many users checked-in, and also provide you with visitors’ details, like their name and profile, so you can get a sense of the demographics of your audience. Wishpond has created a novel way for customers to buy, and stores to sell. 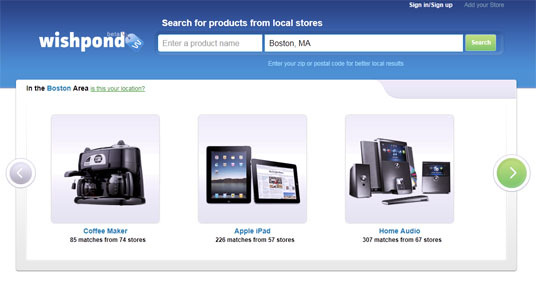 Customers can search local stores in Wishpond’s database for a specific product and the prices it is offered at. Customers can then submit a “wish” price, a bid offer for what they’d like to pay for the product. Vendors will be notified of this offer, and can reply to accept. Apart from having their store and inventory of products in Wishpond, businesses can use its merchant tools to communicate in-store promotions to their customers on all their social media channels at one time. The service also provides you with your own online store on Wishpond, which doubles your online presence if you already have an e-commerce site.